Granite Peak Partners asked Intergroup to design a new clubhouse and leasing office for a large apartment complex. 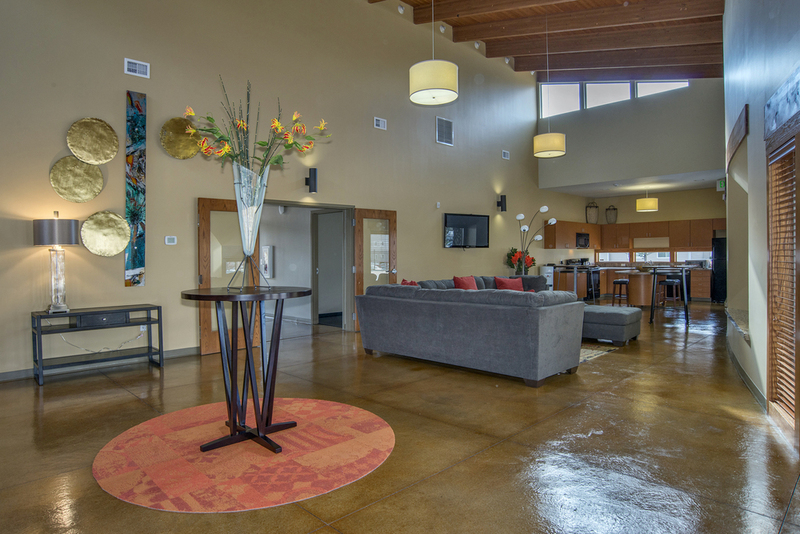 The Clubhouse needed to become the focal point for the community and be remodeled to include luxury amenities like a fitness center, business center, leasing, community room, and outdoor fireplace. Intergroup designed a very unique and sculptural building in order to create a memorable entrance for prospective tenants. In the end, the current residents received the amenities they desired, and the property owners had a new building usable for tenant acquisition and retention.